BMW Riders, we have some good news for you. 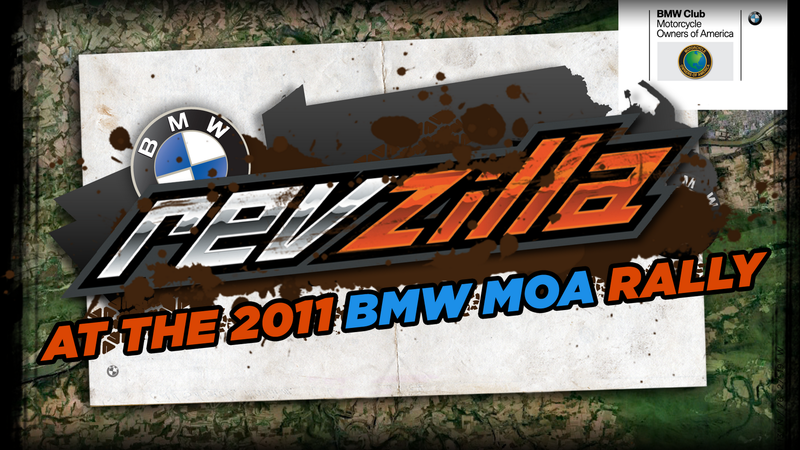 At this year's BMW MOA Rally, RevZilla will be there in full force and it should only spell happiness for you. Every attendee of the rally, upon entry, will receive a RevZilla bag within which will be a gift card to RevZilla.com. Yes, that is correct, you'll be receiving 15 bucks towards anything at RevZilla just for walking through the door. Beyond that, we're giving away a $100 gift card every hour at the Bloomsburg Rally. Simply visit our BMW Rally 2011 page and enter. After this, stop by our booth and check-in at any point during the rally and you're eligible to win. This also registers you to win the REV'IT! Tornado Jacket (at right) and REV'IT! Tornado Pants that we'll be giving away at the rally. Check out the video below for details, and don't miss details on the ADV DREAM SUIT we'll be giving away at the closing of the ceremony! Okay, this is major. At Saturday's closing ceremonies, we are going to choose one lucky attendee to win the ultimate Adventure dream setup. From head to toe, you can win a REV'IT! Defender Jacket, REV'IT! Defender Pants, an Arai XD-3 Helmet, REV'IT! Phantom Gloves, REV'IT! Apache H2O Boots and REV'IT! base layers. Over $2000 of gear that will battle the most treacherous of weather conditions and rugged of terrains. Here's the skinny: show up to the rally, check in at Event Registration and get your raffle tickets, and drop them in the RevZilla ADV Dream Suit box in the door prize area. Stay at the rally until the closing ceremony to see if you're the lucky Adventurer! We're also a sponsor of the GS Giant, so you'll see us floating around shooting video and capturing all of the multi-part competition as folks tear through the mud. See you in Bloomsburg in a few weeks!